So, you and your friends have spent the better part of the afternoon enjoying one of our wine or microbrewery experiences, and after several hours you and your friends are a bit intoxicated. Don't take a chance of getting an expensive DUI, having the hassle to wait for a dirty taxi or cab service to arrive when they are able to, or having to pile into multiple vehicles to get your large group to the restaurant of your choice. Continue your experience with us. 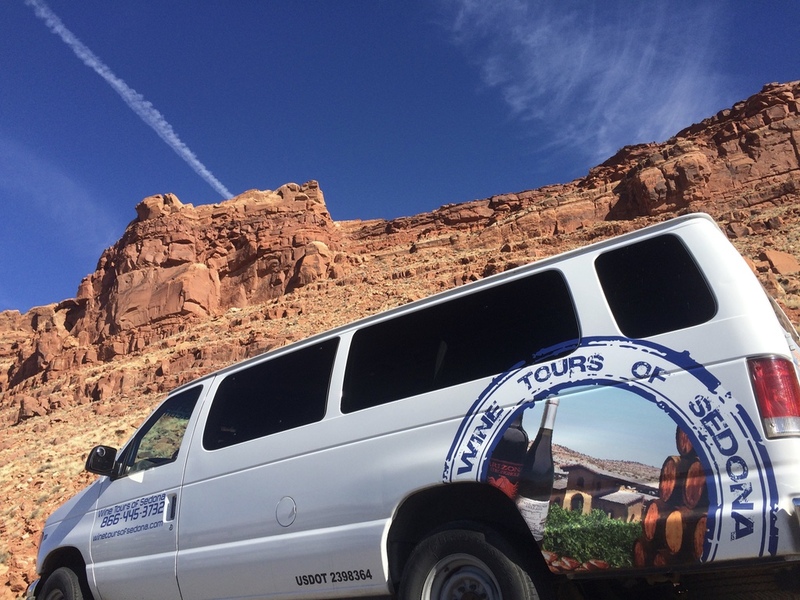 Wherever you want to go, we will be happy to take you there, ensuring that you get to the dining location of your choice on time, safely and comfortably in the luxury of our fully-enclosed and climate controlled tour vehicles. So, whether it's just yourself, or a group of up to 14 people, we will take you to dinner after your tour and bring you back to your hotel when you are done with your meal. We allow 3 whole hours to enjoy your dinner at your pace, so you may savor ever bite and never feeling rushed. Pay only $150 for your entire group for this service. And if you need more time, no worries, we will take care of you. We charge a flat rate of $75 per hour for your group.